…Victoria is geboren in Hollywood? Niet zo gek dat ze een beroemde ster is geworden! …ze in 2012 haar eerste cd wil maken? …ze al vanaf dat ze een baby is bevriend is met actrice Alexa Nikolas? Ze speelden samen in Zoey 101. …Victoria een grote fan is van SpongeBob? …Avan Jogia haar beste vriend is? Ze speelt samen met hem in Victorious. …ze met de serie Victorious een Kids Choice Award heeft gewonnen voor favoriete televisieserie? 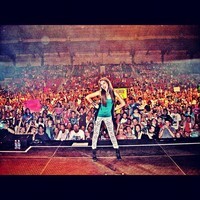 Victoria Justice's star continues to rise. The 19 year-old, originally from Hollywood, FL is the star of her own hit Nickelodeon series Victorious and recently completed filming a Paramount feature film due for release in 2012. On top of that she is a budding sensation in both music and fashion worlds alike. In her Nickelodeon series, Victoria plays the musically talented “Tori Vega,” who unexpectedly finds herself navigating life as a student at “Hollywood Arts High,” an elite performing arts high school. 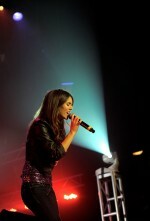 Victoria’s vocal talents are showcased on Victorious, the first official soundtrack from the series. The rest of the cast accompanies Victoria on the 10 original and infectious pop tunes. A number of the songs have already turned into bonafide smashes, including the driving “Freak the Freak Out,” which has sold more than 600,000 copies on iTunes. Other hit singles off the record include “Beggin’ On Your Knees,” “Best Friend’s Brother,” and the shows theme song “Make it Shine,” which was co-written and produced by Dr. Luke. Combined the album’s first four singles have surpassed 1.8 million total digital downloads on iTunes to date. The Victorious soundtrack was released in August and debuted at #5 on the Top 200 charts and #2 on the Pop Charts in it’s first week. Victoria, who’s been profiled on top entertainment shows such as “Nightline” and declared the new “It” Girl by no less than Perez Hilton, has come a long way from singing along to Barney’s “I Love You” theme song as a tot growing up in Hollywood, Fl. “Zoey 101” creator Schneider casted a 12-year old Victoria as Lola Martinez, but by the time “Zoey” ended its run in 2008, it was clear that she was ready for her close up. 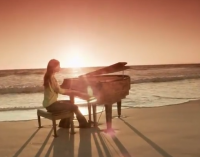 Schneider created “Victorious” for Victoria and Tori is a role she relishes. Victoria has been nominated for Teen Choice and Kids’ Choice Awards, an NAACP Image Award, an ALMA award, as well as an Imagen Foundation Award. The busy starlet recently wrapped filming on her first ever lead in a feature film entitled “Fun Size,” alongside Chelsea Handler and Johnny Knoxville. She plays a teenager who loses her little brother when they go trick-or-treating in the comedy directed by Josh Schwartz. The film is due out in the fall of 2012. Victoria is currently working on a new solo album and is currently filming season 3 of her hit TV series Victorious.